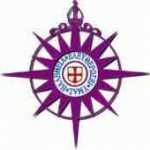 The Anglican Communion is an international fellowship of churches with branches in 164 countries and a total of about 75 million members worldwide. This communion is called “Anglican” because many of these churches owe their origin to the missionary outreach of the Church of England (formerly known as Ecclesia Anglicana). In some places (for example the United States and Scotland) the Church is known as the Episcopal Church – this is perhaps an attempt to distance itself historically from any notion of “Englishness”! However these national Churches still consider themselves as part of the Anglican Communion. Each Church in the Communion is independent with its own pattern of leadership by bishops and representatives of the clergy and laity. All Anglican bishops meet in conference, usually every ten years, under the presidency of the Archbishop of Canterbury. Any resolutions made by the conference, while in their own right carrying considerable weight, become effective in the different Churches only when they have been officially accepted by them. The struggle to maintain independence and interdependence in communion, challenges these churches to face the accompanying issues of identity and authority. The historic episcopate, that is, the continuity of the line of bishops since the time of Christ. It has been said that the Anglican Communion rests on the three pillars of Faith, Reason and Tradition. The unique strength of Anglicanism lies in our attempts to hold in balance these three aspects of our belief. Ouch! Yes, it was, but leaders in the Church of England took the opportunity to make a number of reforms which the central authorities of the Roman Catholic Church opposed. We’d like to think that something like the Anglican Communion would probably have happened without Henry VIII’s political interference, but it might have taken longer. King Henry’s main concern was simply independence from Rome (yeah, ok….! But God does move in mysterious ways and often uses humans to achieve God’s purposes – whether consciously or unconsciously!). From an individual perspective the essential difference between the Anglican and Roman Catholic approach is how each believer relates to God. Trying to express it in simple terms (without wishing to be controversial!) the Roman Catholic view is that the Church is there to act as a “go between” between the individual and God. The Church determines how and what an individual should believe in order to be in a right relationship with God. In classical Anglicanism the individual is in a direct relationship with God with no “middle-man” necessary. The Church is there to guide and to teach, but how and what a person believes is between them and God. Is the Anglican Communion male-dominated? It’s trying not to be! Most Anglican Churches throughout the world (including the Church of Ireland) ordain women as well as men as priests. Some Churches permit the ordination of women as bishops (again including the Church of Ireland). Most services and modern hymns use inclusive language. Some traditional hymns and forms of service do unfortunately contain male-specific language which can’t be removed without damage to their poetic quality. We still often (but not always) refer to God as ‘He’ and ‘Father’, because sadly the English language has no suitable neutral terms other than the horribly impersonal ‘it’. We are working on improvements in this area.